And I have to ask, if he really did die of a generalized infection, why the hell did the doctors at the French military hospital fail to detect it before he died? Also, why the hell did it take so long, years, for French scientists to come to their conclusion, and, more to the point, why was it leaked only after other and much respected expert investigation indicated there was as high probability that Arafat was poisoned with polonium? My guess is that the order for the generalised infection story to be fabricated and then leaked came from the office of French President Hollande, (an office in which the Zionist lobby has considerable influence); and the following sequence of events is a possible explanation of why. Hollande is preparing to visit Israel, so to give himself maximum credibility when he is there, he plays the Netanyahu Iran threat card and blocks the first attempt at a P5+1 interim agreement with Iran. On his return to France, and deciding that he really should not offend President Obama too much, Hollande unblocks and says okay to the P5+I interim agreement. Could I be right? I’m not insisting, only asking. My comment: I was not seeking to disparage ladies of the evening (or the day). The point by obvious implication is that prostitution is another name for politics. Next post: Where is Palestine’s Mandela? 15 comments on this post. France has long been an Israeli colony through the powerful Jewish lobby and several Zionist Jewish leaders. Sarkozy was a Crypto Jew, while Hollande and Fabius are committed Zionist Jews. 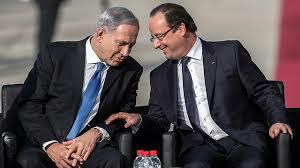 These French traitors would do Israel’s bidding whenever they can. France with the largest Muslim population in Europe (over eight million) is the most anti-Muslim colonial power next to Israel. It was Fabius who derailed the second Geneva conference between P5+1 and Iran. Fabius claimed that Israel’s security concerns could not be ignored at the Geneva talks. The “security concerns” of an illegal entity which has a stockpile of 400 nukes and has invaded all its neighbors during the last 65 years. Great headline, sums up the situation and the metaphor fits perfectly. Alan, As per usual, You Have proven You have a Way with Words ! Yes, YOU Hit The proverbial Nail on The Head..With Your SO “right-on ‘Comparison Of Politics and Prostitution >>>but Just as YOU So Aptly Pointed out ” Don`t put the prosties in the same Category as Politicians ! For they Could Well Take Offense At the Comparison !! How much Longer Are we Going to Be Forced to Contend with b. Netty And Isitreal ?? I think A HEX is in Order for b.Netty. And I am going to Give him one he won`t be able to ignore…or dodge. It is One his Actions have Well-earned. GoodBye, Netty ! Any time there’s any doubt over something like a diagnosis of death of someone famous but threatening or embarrassing to members of some elite one automatically smells a rats’ nest. How can France and other zionists explain the extremely high levels of polonium (18 times normal) in Arafat’s personal effects? Coincidence? Moldy falafel? What blatant political manipulation of science! Alan, it’s good to see you’re still around and as sharp as ever! As for the rude language…I’m delighted to see that some of the(intentionally)highly offensive terms I’ve been using for years to describe the meretricious relationship between “free” Europe and its masters is beginning to filter into the consciousness of those more awake& alert. Keep going! France made a big show of providing medical treatment for Arafat during his final illness. Once gone, his French doctors issued a death certificate listing his place of birth as Jerusalem instead of Cairo, as it really was. Where was the Zionist influence then? Although i don’t put it past the Israelis to kill Arafat I don’t think they would have done it. It doesn’t make sense. He was more useful to Israel alive than dead. From a public relations point of view he was Israel’s foil and they benefited from having him as the leader, and “face” of the Palestinians. Since his death the image of the Palestinians around the world has improved considerably. @ Mike – Who else has better assassination record than Israel? One problem is that there is no chain of custody for the effects. In a court of law this would make the evidence inadmissible. Then there is the refusal of the widow to allow an autopsy when Arafat died. There are also technical concerns about the polonium and its rate of decay that make the determination circumspect at best. The anti-Israel pundit Eric Margolis, provided a list of Arafat’s health problems 6 years before he died. This makes it quite likely that natural causes carried Arafat off, despite the keenness of Israel haters (Margolis included) to pin the blame on their nemesis.